Check out the recommended Top 20 Cruise Destinations that are a must see when sailing as a Member with Accor Vacation Club Cruises. Here they review some of the most beautiful locations worldwide aboard the best cruise lines including, Carnival Cruises, P&O, Royal Caribbean, APT, Azamara, Princess Cruises, Holland America, Ponant, Travelmarvel, Scenic, Uniworld, Viking, Norwegian, Captain Cook Cruises and lots more. 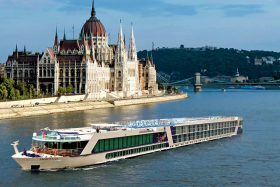 A luxury river cruise is one of the highlights of anyone’s life, and the best way to go in depth, getting up close and personal, with the cultural, historical and iconic sights of any given region. Discover our top picks for Accor Vacation Club Members and give us a call on 1300 76 14 14 to explore your river cruise options today! Brings together World Heritage Listed areas and the spectacular cultural highlights of this age old grape growing region. Towns like Lisbon, Porto, Pinhão framed by the gorges of the Douro Valley, Vila Real with its nearby Palacio de Mateus – long associated with Mateus Rosé wine, ancient Salamanca and Madrid’s Prado home of the most glorious Spanish art. APT, VIKING. Imagine going just that little bit further than most. 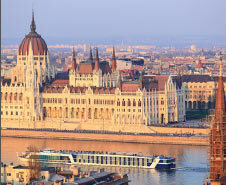 Fascinating Budapest leads you east towards Bucharest – the Paris of the East. 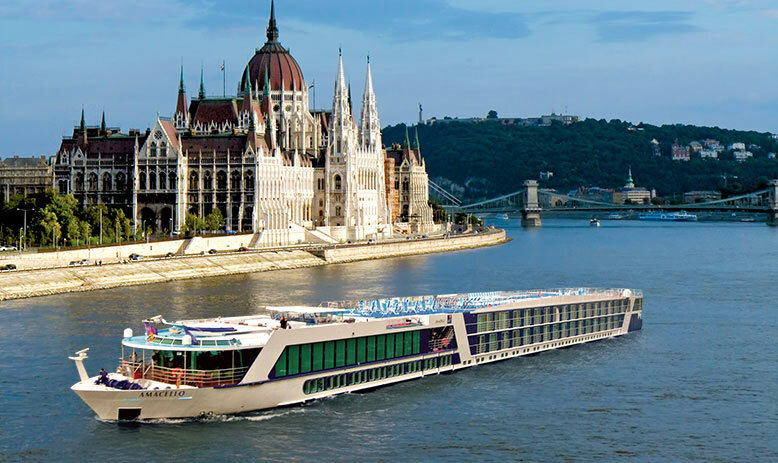 Cruise through Hungary into Croatia; see the dramatic white cliffs of the Iron Gate, Serbian medieval towns, Romania’s mythic Dracula, and the historic treasures of Bulgaria. AVALON, VIKING. For those who like a little more adventure but don’t want to give up the luxury of 5 star cruising then this one’s for you! From the hustle and bustle of Ho Chi Minh City, journey west along the mighty Mekong to the golden palaces of Phnom Penh, graceful fishing villages untouched by time, Buddhist monastery’s and the World Heritage listed temple complex of Angkor near Siem Reap. APT, SCENIC, TRAVELMARVEL. Its safari time as you glide beside riverbanks teeming with animals – from elephants to hippo, giraffe, lion and gazelle. Majestic Victoria Falls, Livingstone, Okavango Delta and more. APT, TRAVELMARVEL, PEREGRINE ADVENTURES, ABERCROMBIE & KENT. While not technically a river cruise, we just had to mention that you could be master of your own canal boat while you see the sights of the UK – Aye Aye Cap’n! Recent world events have reduced their popularity at present, however we will advise when both of these amazing destinations are ready to cruise. 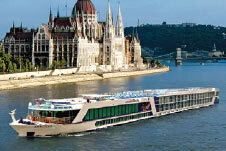 – APT, SCENIC, AVALON, UNIWORLD, TRAVELMARVEL, EVERGREEN. *These cruise articles on pages 14 to 17 have been supplied by Accor Vacation Club Cruises’ third party provider and APVC Limited does not warrant the accuracy of the information. 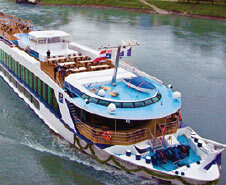 Accor Vacation Club Cruises is a benefit available to Premiere Plus Members.